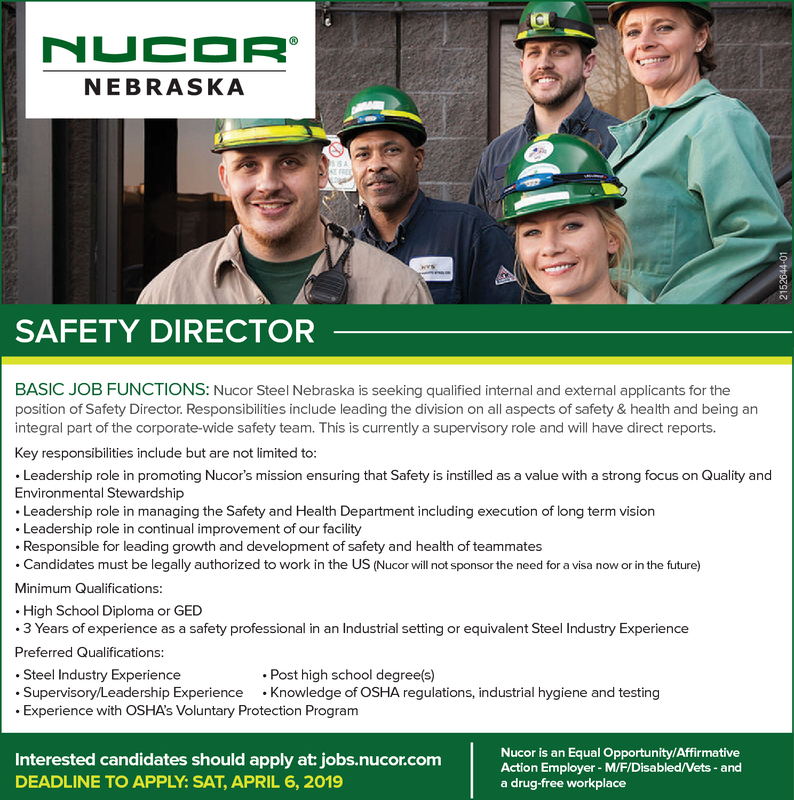 Basic Job Functions: Nucor Steel Nebraska is seeking qualified internal and external applicants for the position of Safety Director. Responsibilities include leading the division on all aspects of safety & health and being an integral part of the corporate-wide safety team. This is currently a supervisory role and will have direct reports.